Not extending your cabinets to the ceiling creates a space for dust to collect. 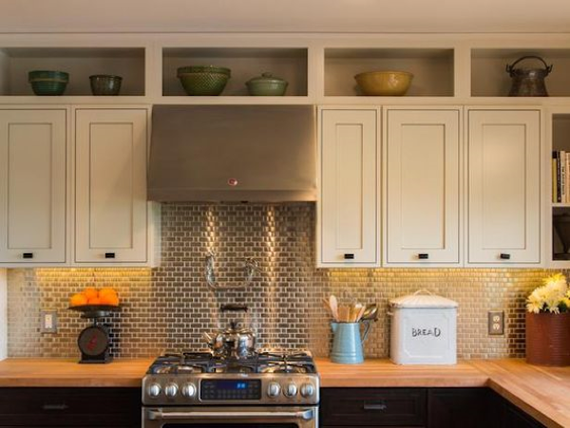 Extending your upper cabinets for a more custom look makes the space feel taller and allows for extra storage. Another option is small decorative storage that introduces the opportunity to add another layer to the kitchen design. 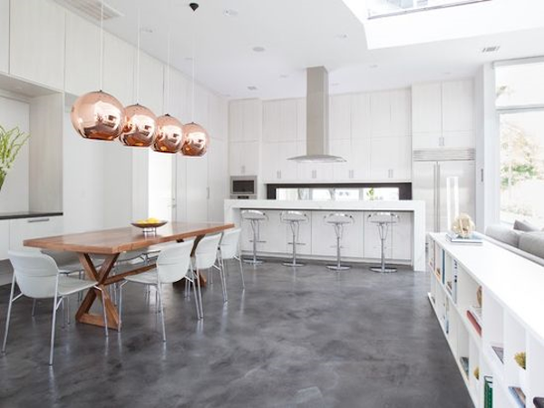 It’s a contemporary flooring material that’s filling a niche – more vibrant and harder wearing than painted wood, easier to care for than carpet, and just plain cooler than tile. Considering that epoxy flooring not only dries hard, seamless, waterproof, and durable, but is also available in a huge array of colors, why not? 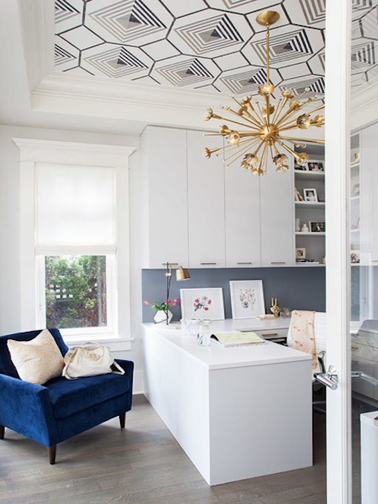 Statement ceilings are having a moment and it's not hard to see why. Upgrading a ceiling with wallpaper, paint, or architectural moldings makes a big interior statement that is sure to transform even the dullest of spaces. Melting tile is the type of floor treatment you should consider in areas of transition, entry areas, open baths, or even kitchens. 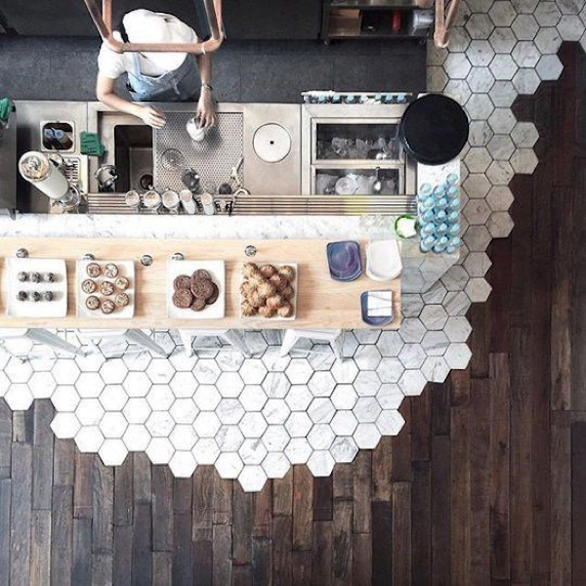 It's a creative way to separate two spaces without a hard line. 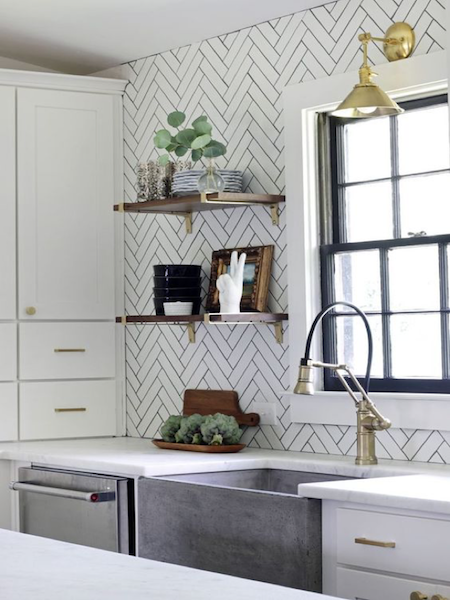 Consider using a directional herringbone pattern to add dimension to your room. This pattern has made a massive resurgence due to the popularity in geometric patterns. These patterns work well in any space, to open-plan living and to the smallest of spaces, from a traditional Parisian apartment, to the ultra-modern home.